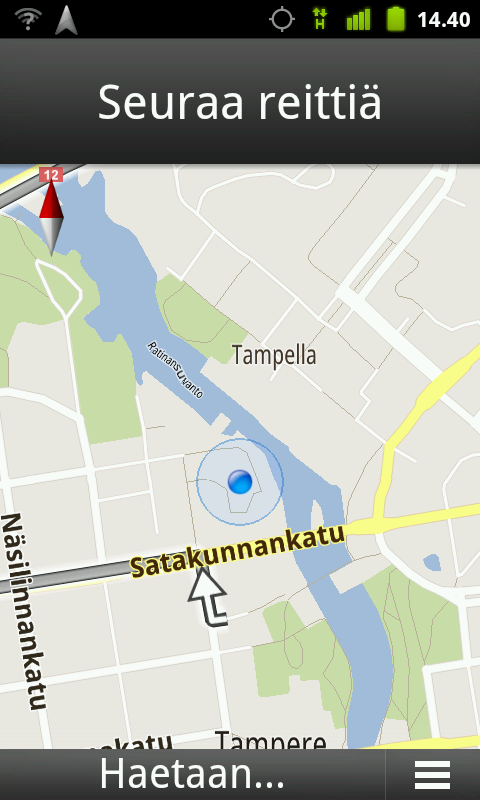 For some reason, which we where unable to find information on, Google hasn’t published their navigation app for Android in Finland. However it does exist, and it works wonderfully. To install the Google Navi app, you must first uninstall your current Maps app, and then install the modified Maps app with Navi enabled, which can be found from the XDA-developers forum. The Google Navi does not have hundreds of features like, for example, OsmAnd has, but the few features it has are really well designed and matches all the needs an average Joe has for navigation. There is also a really great feature to compare and choose alternative routes, which the OsmAnd does not have. 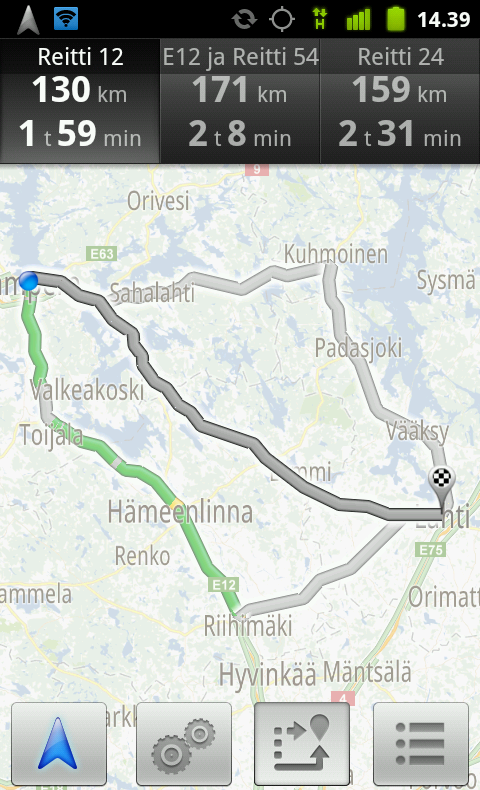 However Google Navi and Maps in general have one big weakness, and that is the out-of-dateness of many maps. If there is a newly build road you are much more likely to have it on OpenStreetMaps first, possibly years before it appears on Google Maps.